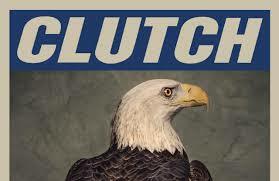 Standing the test of time Clutch has been rocking out for 25 years and compiling millions of loyal fans along the way. 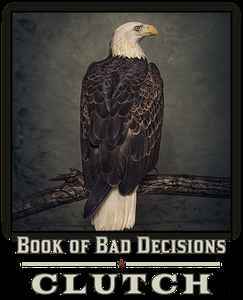 Just releasing their latest CD “Book of Bad Decisions” Produced by Vance Powell at Sputnik Sound in Nashville TN and released via their own label Weathermaker. 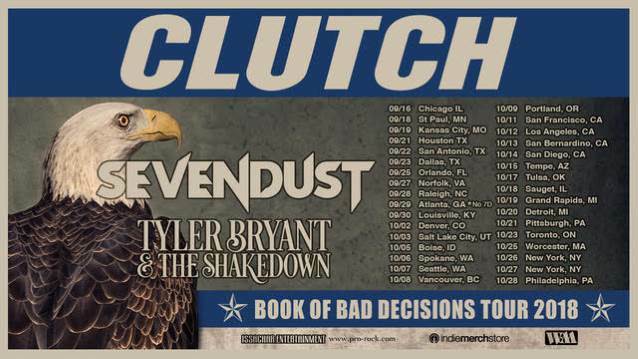 Having reviewed Clutch’s CD’s before “Book of Bad Decisions” is a step away from their normal sound. The unmistakable power vocals of Neil Fallon are filled with of soul and passion, the rest of recording has an old school sound to it. From the Black Sabbath fuzz tone guitar to the horn filled song like “In Walks Barbarella”. The songs a very well written with blues inspired story telling lyrics and a little southern rock mixed in. It will take the diehard fan a second listen to really appreciate it because there’s a lot going on with cd. Producer Vance Powell defiantly payed attention to all the little details just like the cow bell in “Hot Bottom Feeder”. Over all the CD is very well mixed down and you will want to listen to it with head phones on. “Lorelei” is by fare my favorite song but they all interesting stories to tell. Defiantly give this CD a chance it took me a second listen but its well worth it even if you not a “Clutch” fan I think “Book of Bad Decisions” will grow on you, it did us.